Posted on February 10, 2019 at 9:47 am. A plumbing emergency is frustrating, to say the least. It causes stress and necessitates the expertise of a local plumber in Cleveland, TN. An unexpected or abrupt plumbing emergency is a sign that you need to thoroughly inspect or repair your plumbing issue. It is an urgent call for an emergency service to get your plumbing system fixed without any delay or further nuisance. To keep you safe from these plumbing emergencies, we have gathered the most common plumbing emergencies that may occur in your home. If you happen to reside in Cleveland, TN, there is a good chance that you may have experienced plumbing emergencies by now. Besides that, we will discuss some pro tips to control the issue at hand and get in touch with professional plumbers in Cleveland, TN. So continue to read this article to understand how you can handle common plumbing issues in the most skilled way possible. Blocked drains can be a nuisance especially when the toilet’s drainage is blocked. You cannot use the washrooms even in an emergency situation until and unless the issue is fixed for good. Blocked drains can also lead to poor living conditions. Whether your kitchen drain system is blocked or your toilet has fallen to the same fate, it can easily cause an unbearable odor that can spread all around your house. The blocked drains can easily turn into a big issue when you ignore the initial signs like a lowered water flow. When the water flow is not fast enough, it is a clear indication that the drain is blocked. Avoiding this issue for a long time can become a serious issue over time. Once the damage is done, andthe drain system is blocked, call for the assistance of a local plumber in Cleveland, TN. According to professional plumbers in Cleveland, TN, the best way to go about it is to get it resolved as quickly as possible. That is, to call a local plumber in Cleveland, TN before the situation turns into an emergency. A water leak is the most common and neglected problems that everyone faces in their houses. There could be a number of reasons behind a water leak issue. For example, it is likely that there is a burst of your in-house or main pipeline or a damaged faucet. So if there is a water leak in your home and the water is dripping out uncontrollably, the first thing that you should do is turn off the valve that provides your home’s water supply. After you have controlled the leaking water, try to find out the source of the leak. Also, when you turn off the valve, don’t forget to mop up the excess water to avoid any slip and fall situation or the damaging of your electrical appliances. Once you have done that, call a local plumber in Cleveland, TN that will help in assessing the main problem. The plumber will resolve the issue in such a way that you wouldn’t have to face it again in the future. A gas leak is a life-threatening problem that may demand urgent assistance of a local plumber in Cleveland, TN. This is a serious issue as carelessness of any sort can adversely affect you and your family. Regardless of where it originated, it is important to get it fixed right away. You may not know it, but gas valves facilitate the supply of combustible to different house fixtures. As you switch off the valve, it makes sure that the gas leak is stopped. However, this may not be the case if the gas leak instigates from the main shut-off valve. In case, you don’t know how to turn off the gas, leave it then, and immediately call for the professional help. This will keep your personal security intact and keep you safe from uncertain incidents. By calling a professional plumber in Cleveland, TN, you will be at peace knowing that the certified professionals are equipped with experience and knowledge to deal with the gas leak efficiently. 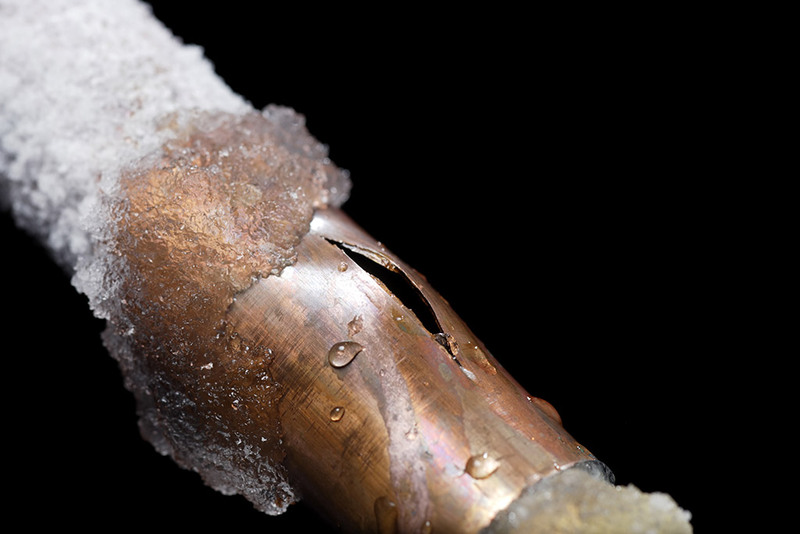 Generally, pipes that burst in extreme weather conditions, most likely happen dure to them getting frozen. To fix this issue, it is best to get the assistance of a local plumber in Cleveland, TN. A reliable plumber will resolve the issue with the help of hot water bottles. This will help thaw the pipes and make them useable again. However, you must not handle the situation as a DIY project as it can further aggravate the scenario. Since you lack the right tools and experience, it is probable that in the process of de-freezing the pipes, you break them or cause holes in them. This is the plumbing issue that usually occurs during the winter season when the supply of hot water can be meager. If you live in Cleveland, TN, it is not even thinkable to use cold water for everyday use, especially when the temperature is below freezing point. During winters, hot water is a necessity which residents of Cleveland, TN can’t do without. It helps you do the dishes, wash your clothes, and cook food with super ease. So when the water heater or thermostat breaks down in the cold season, it means that you need the assistance of a local plumber in Cleveland, TN. There can be numerous hot water issues which is why hiring a professional plumber will help you dissect the real issue and what steps can be taken to fix it. A reliable plumber can pay an immediate visit to your house and fix the issue of the water system. Sometimes, the issue may be a bigger one, but all of this can only be ascertained when you obtain professional assistance. If you are on the lookout for a professional and well-reputed local plumber in Cleveland, TN, then call the emergency helpline of Metro Plumbing Heating and Air right away. Their team of professionals is well-versed in resolving the most complex plumbing emergencies in the most skilled manner.